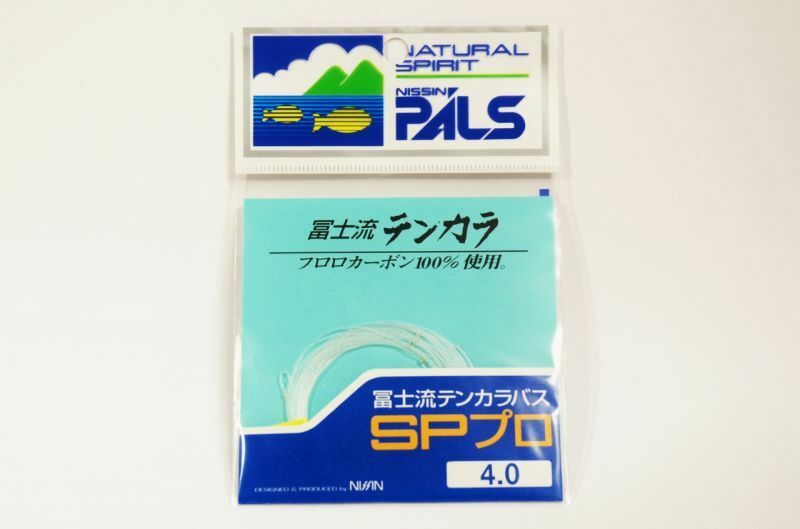 Nisshin's best seller fluorocarbon furled taper lines "PALS Fujiryu Tenkara-basu SP Pro. The lines are made by twisting 4 to 7 fluorocarbon lines. High quality and troubleless tapered design. The lines are very easy to handle and you can control the casting very well . The lines are recommended to beginners too. There are 5 different lengths. When you mishook the fly to a tree branch etc. You must cut the tippet pulling the line by hand. Then your furled line might become crinkly. In that case, do false cast a bit strongly several times, your furled line can be recovered by itself.